41 Leargan, Western Distributor road, Knocknacarra, Galway. – Lynch Auctioneers, Galway. 41 Leargan, Western Distributor road, Knocknacarra, Galway. 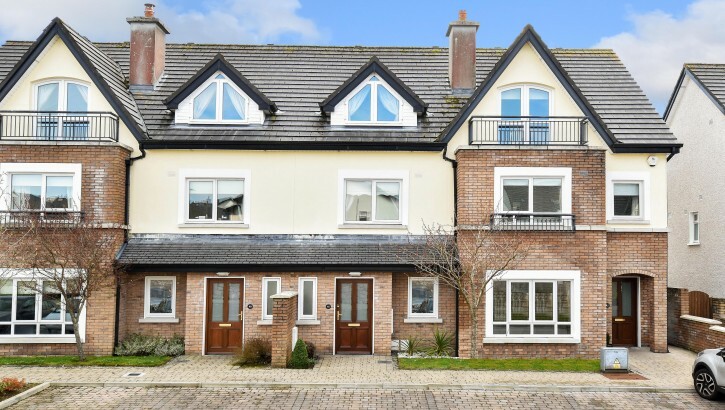 Lynch Auctioneers are delighted to offer for sale this beautiful three bedroom mid-terrace home, built in 2007 by reputable builders, O’Malley Construction. 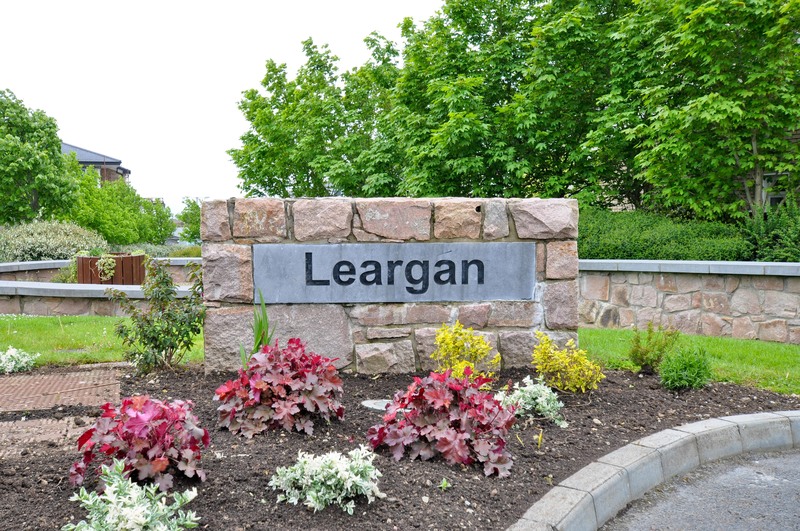 An Leargan is a well maintained development, which is excellently maintained and boasts a playground, crèche and Montessori on site. It is within walking distance to the Knocknacarra Retail Hub which houses Dunnes Stores, B & Q, New Look to mention but a few; NRG fitness centre, the Clybaun Hotel, a variety of national schools and Knocknacarra Church, while a little further afield the magnificent coastline and the favoured beaches of Salthill and Silverstrand and the famous walk along the Salthill Promenade. Access to Galway City Centre is only a ten minute drive via three routes while a regular bus service also exists. The immediate area has a well developed infrastructure and satisfies a wide range of lifestyle requirements. No. 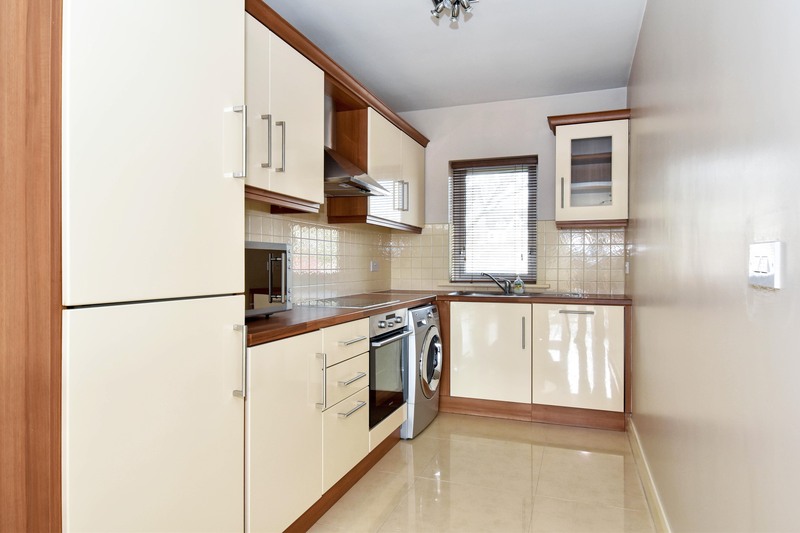 41, is a three-storey, mid-terrace property measuring approximately 107 sq. metres (1,151 sq. feet) and is in turnkey condition and has been beautifully decorated and maintained by its present owners. 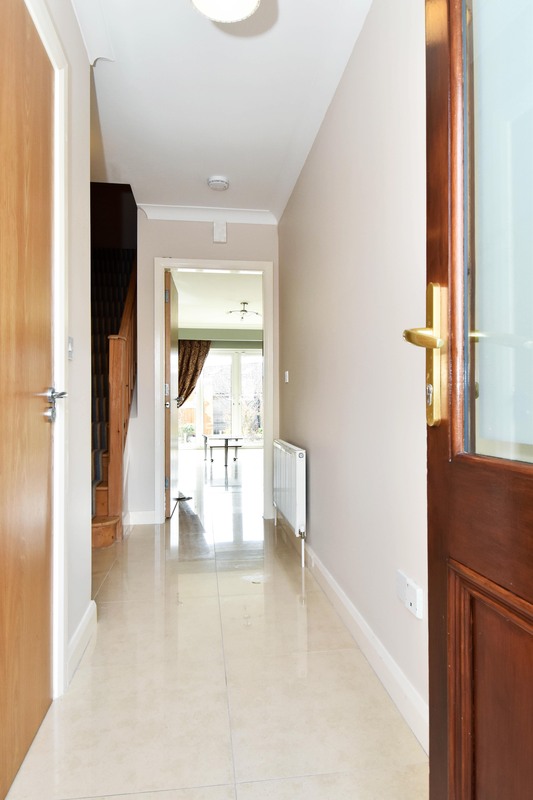 On entering this home, there are cream tiled floors running from the entrance hall leading into the spacious sitting room to the rear of the property; which boasts a cream feature fireplace with granite insert and double glazed full length glass doors to the enclosed rear garden. The cream tiling continues to the Kitchen which is to the front of the house with variety of cream fitted units and walnut counter tops. 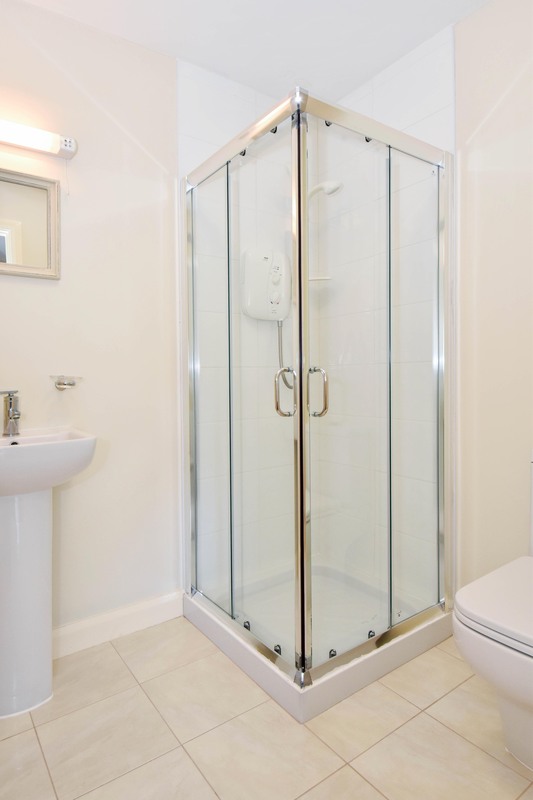 There is also a guest wc & whb to the front of the property at ground floor level. 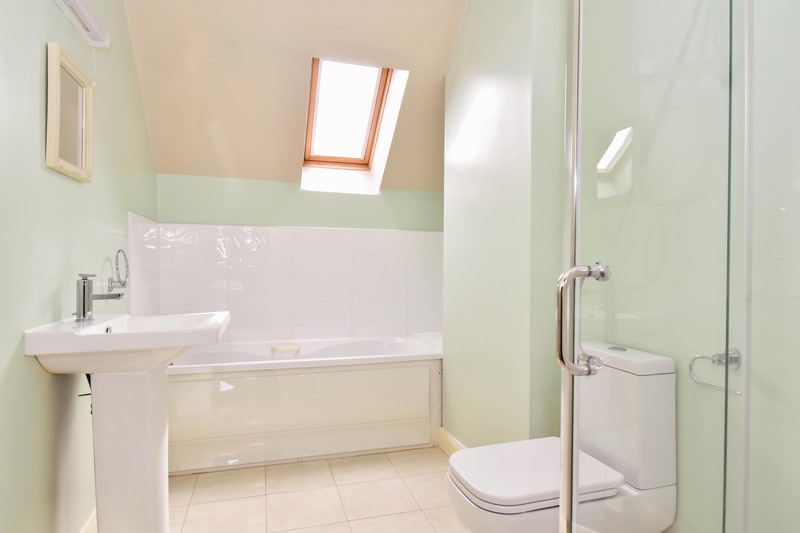 There is a carpeted stairway leading to the first floor which houses two double ensuite bedrooms with spacious built in wardrobes and wooden floors. 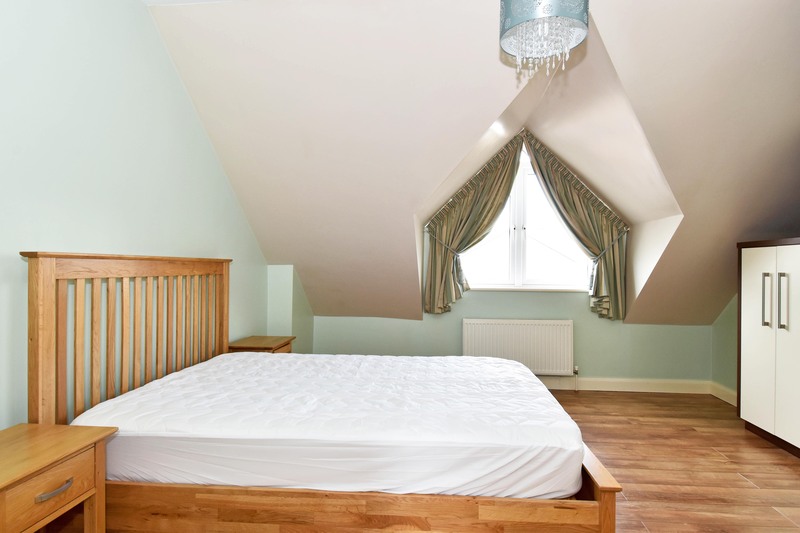 A carpeted stairway also leads to the second floor which houses the third double ensuite bedroom, also with spacious built in wardrobes and wooden flooring. Cream tiled flooring, coving and wc and whb to front of house. 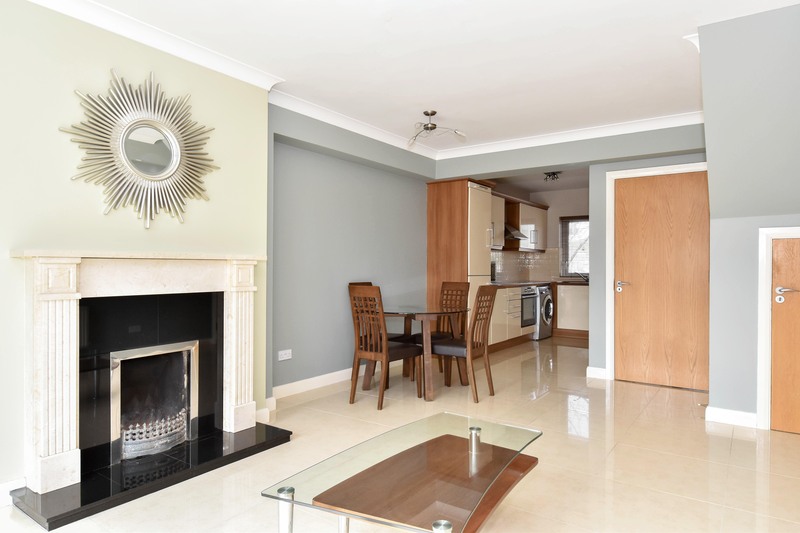 Cream tiled flooring, feature cream fireplace, coving and double full length glass doors which opens out onto to beautiful south facing rear garden. Guest wc & whb – To front of property with tiled flooring, w.c. & w.h.b. 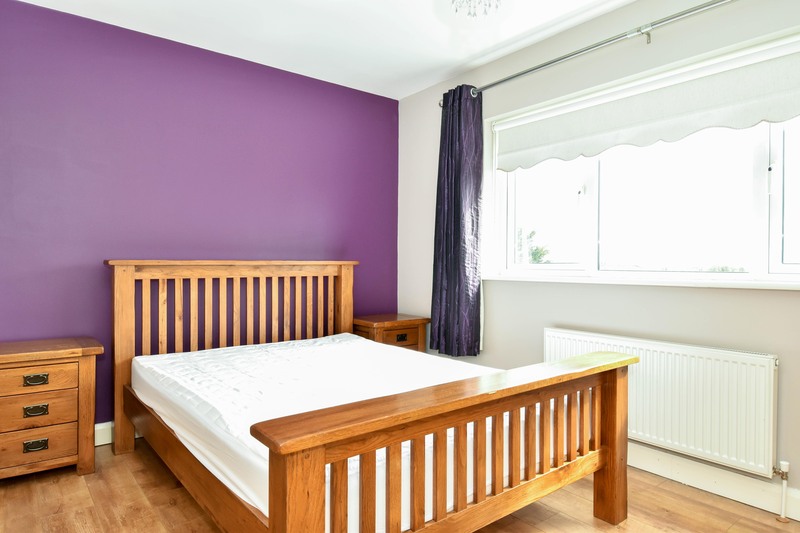 Bedroom 1 – Double bedroom located to the front of the property with wooden flooring, built in wardrobes and en-suite which is partially tiled and consists of shower, w.c. & w.h.b. 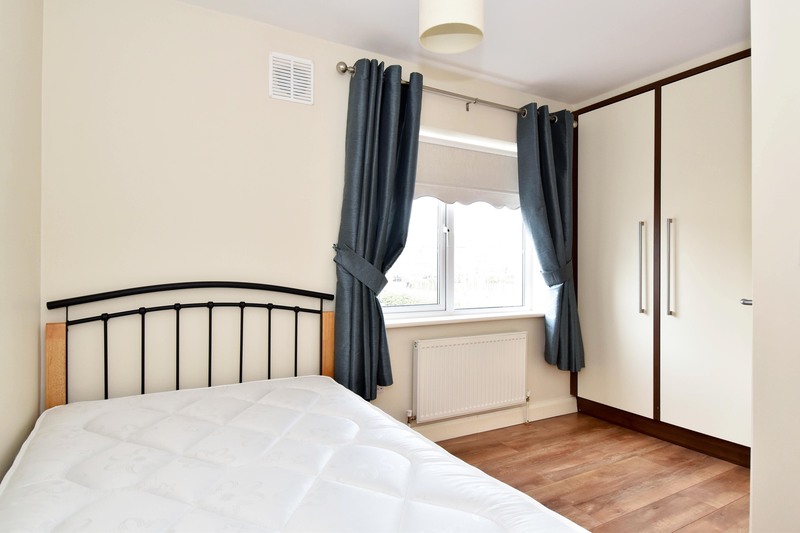 Bedroom 2 – Double bedroom located to the rear of the property with wooden flooring, built in wardrobes and en-suite which is fully tiled and consists of shower, w.c. & w.h.b. 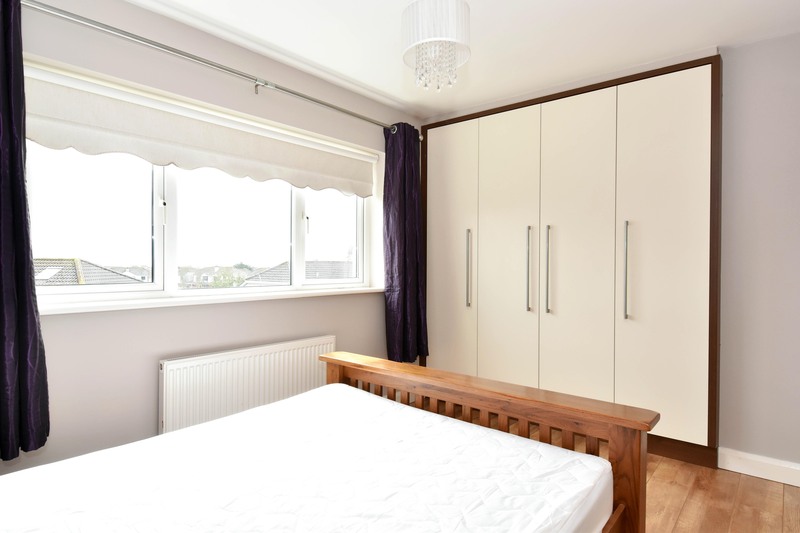 Bedroom 3 – Double bedroom located to the rear of the property with wooden flooring, built in wardrobes and en-suite which is partially tiled and consists of bath, shower, w.c. & w.h.b. – Parking area to the front of the property. 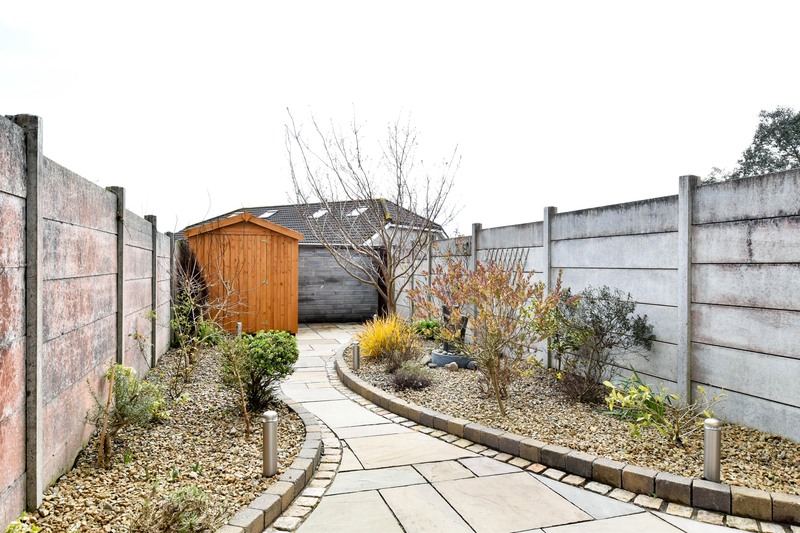 – Attractive south facing enclosed rear garden, which has the advantage of not being overlooked, boasts a paved path area bordered by beautiful shrubbery, flowers and trees and surrounded by attractive stones. There are night lights along the pathway, which is a scenic setting at night time. – Storage shed in rear garden which has been wired for electricity. – Gated access in the rear garden. – PVC double glazed windows and gas fired central heating. 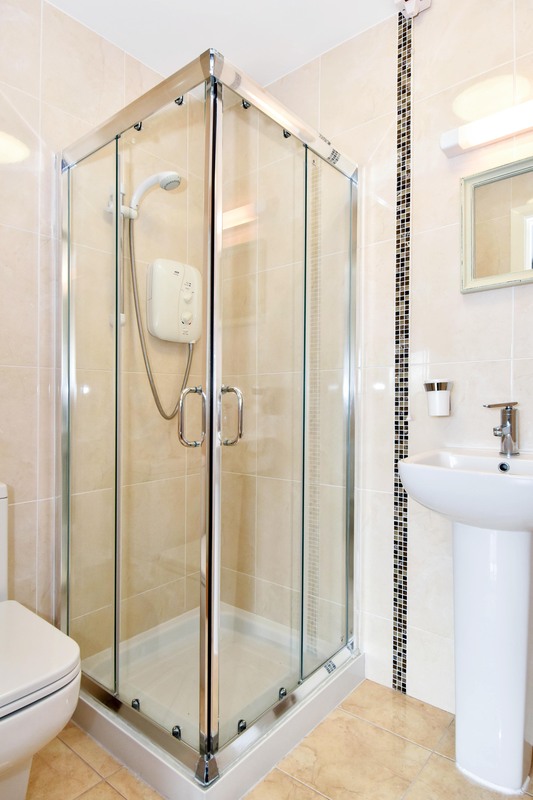 – Superb ceramic wall tiles and quality sanitary ware to bathrooms and w.c.
– Management Company is Galway Property Management and fees are approximately €300 per annum. This property is in beautiful condition throughout and viewing will definitely not disappoint. If you are looking for a family home or investment opportunity, this is the house for you. 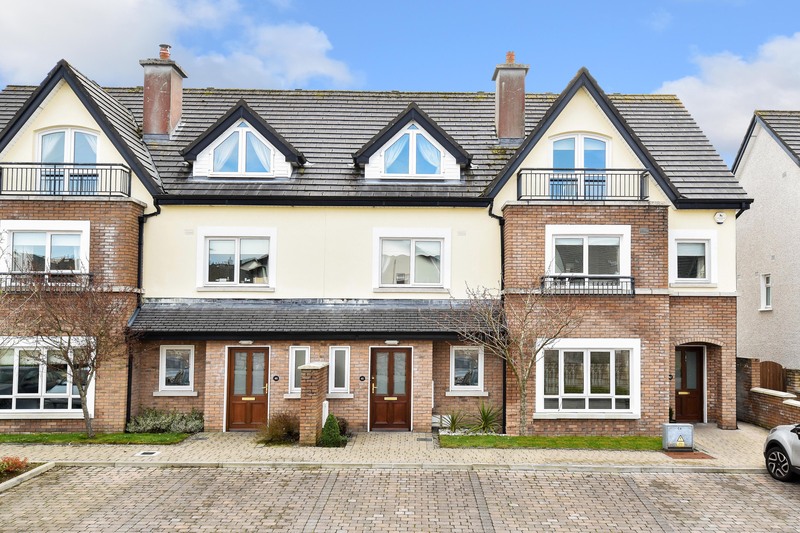 The house is truly beautiful inside, with maintenance free rear garden and the estate itself is an exceptionally well maintained and landscaped development. 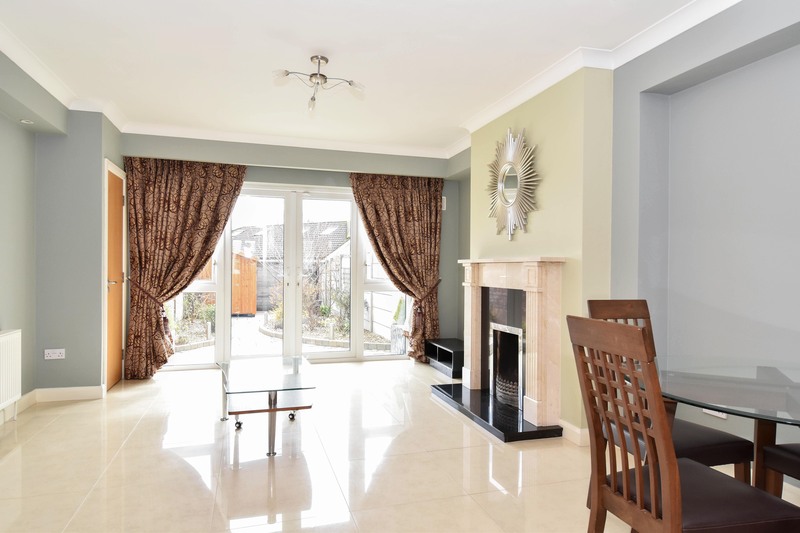 The location is within walking distance of all local amenities and public transport and a variety of national schools. ← 11 Monalee Heights, Ballymoneen road, Knocknacarra, Galway.